Over the past 20 years, I have been searching for the reason or reasons why bankruptcy judges make it so difficult for bankruptcy attorneys to get paid in Chapter 13 consumer bankruptcy cases. This goes all the way back to the early 1990’s when some judges would simply not sign the order. Perhaps the judges had too much work on their docket. Others created additional work by not granting the fees in a timely manner and instead put the applications on the back burner where they often remained lost. In the 2000’s, we argued with the presiding bankruptcy judge to order our fees when the motion was first up to be heard with the original confirmation hearing. This would be a simple, effective way to either grant or deny an attorney fee application when it was originally set to be heard. Unfortunately, the judges insisted for some reason that the attorney application for fees had to be continued over with confirmation regardless of how many continuances or different confirmation hearing dates were forthcoming. I know this all seems crazy. However, the latest trend is the most ridiculous to date. What happened recently and what’s been happening with greater frequency is that some bankruptcy judges are granting the applications or not based upon whether the Chapter 13 trustee is holding funds or not. In a most recent case, the trustee had a motion to dismiss for failure to make plan payments and failure to propose a confirmable plan. 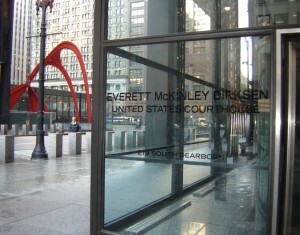 At the time of dismissal, instead of simply signing thefee order to the extent that there were funds available for the trustee to disburse, the judge inquired of the trustee “are you holding any funds.” When the trustee responded that she was not holding any funds, the judge denied the fee application as moot. On its face, this inquiry by the judge with regard to whether or not of the application should be granted makes zero logic. What is important is whether or not the Chapter 13 attorney’s fees should have been granted or not. Whether or not there were funds from which the trustee could pay the fees was a separate issue that had nothing whatsoever to do with an order for fees. What made matters even worse in this particular case, is that the trustee was not accurate in her statement that she was not holding funds. So now we have a motion to vacate the order denying fees. This is simply an inconvenience, an additional burden on the court and particularly debtor’s counsel to grab a few dollars that happen to be sitting on account with the Chapter 13 trustee. This all could have been easily avoided if the judge would have simply signed the fee order. An application for fees is not moot in my opinion at any time. Whether or not the trustee is holding funds is not germane to whether or not the debtor’s counsel should be awarded a fee order. As this particular case illustrates, there is now significant, palpable additional efforts that needs to be undertaken by debtor’s counsel in an effort to get paid. After all, debtor’s counsel already had a fee application properly filed and noticed with the court. It was certainly heard at the final day of the case. It was certainly at the fingertips of the judge for signing and entering. There was no harm to be had if the judge had simply granted the fees as he should have and signed the order. The trustee cannot pay out what it doesn’t have. Debtor’s counsel cannot take that order into state court and enforce it. I have no clue why the judge has an issue with properly ordering fees in a case where they are earned. What makes matters even worse is that we are operating under the court approved retention agreement. This means, in essence, that debtor’s counsel, if the proper documentation is filed, is entitled to a $4000 attorney fee in a chapter 13 bankruptcy case. This fee should be granted pursuant to the agreement without any substantiation for time, records, or detail of any sort. Once the judge becomes aware of the fact that debtor’s counsel and debtor have entered into the court approved retention agreement, there is nothing else to examine other than notice and whether or not the agreement was attached to the fee application. Anything else required by the judge is superfluous. Any time the agreement is attached to the fee application and there is no indication that the fees were not earned, the judge should sign the order. This latest episode is just another ridiculous way where Chapter 13 bankruptcy attorneys find it harder and harder to get paid for their good work. Our fees are not contingent upon whether or not a debtor has made plan payments. It would be great if the Chapter 13 trustee retorted that to the bankruptcy judge when asked what funds are being held. It really doesn’t matter at all what funds are being held. It matters whether or not debtor’s counsel did its job under the court approved retention agreement and whether or not the fee application was properly submitted. That is it; simple, effective, and approved by the bankruptcy judges in the Northern District of Illinois. It doesn’t get any easier than that. Somehow however, there are still judges getting it wrong.